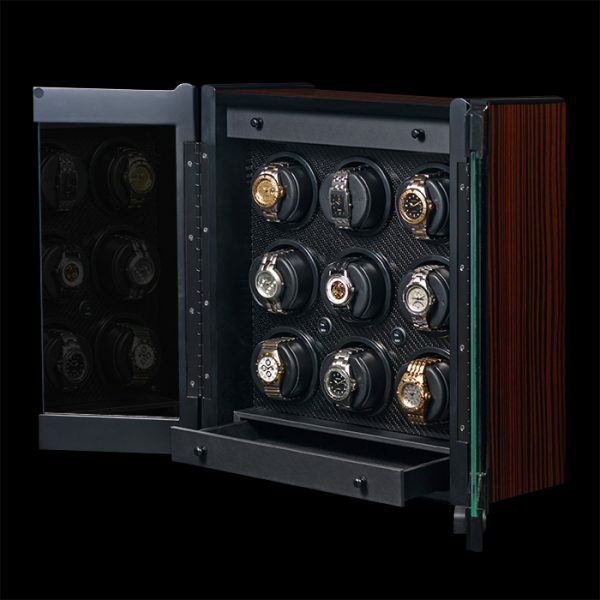 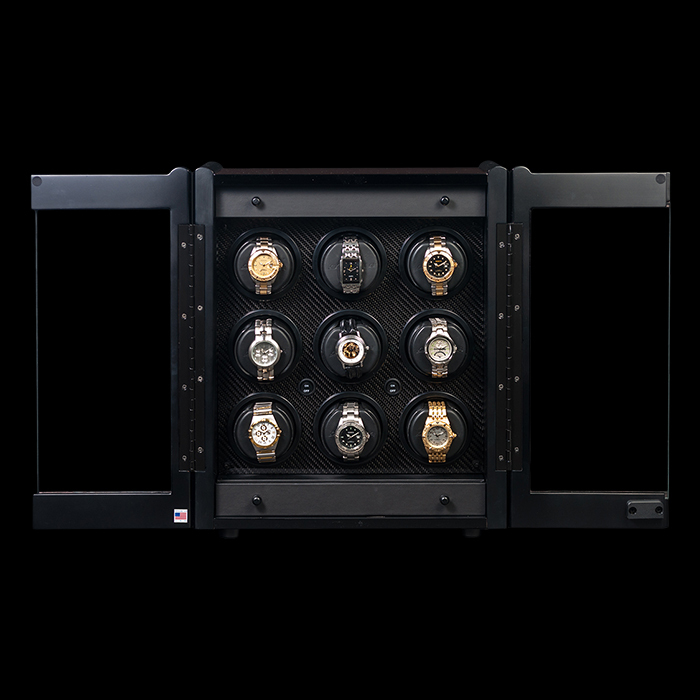 Customizable to your lifestyle, the Avanti Series is housed in modular cabinets with an array of choices including winders, biometric safe, pen storage, digital atomic clock, jewelry case and coin displays for our Avanti 24, 36, and 48 winders. 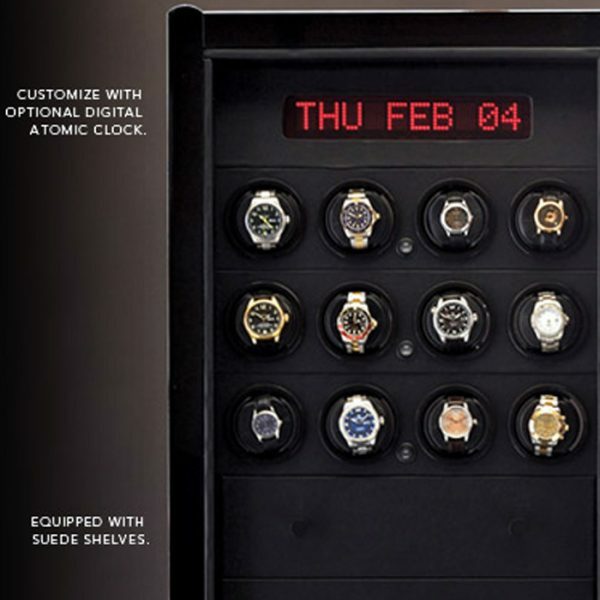 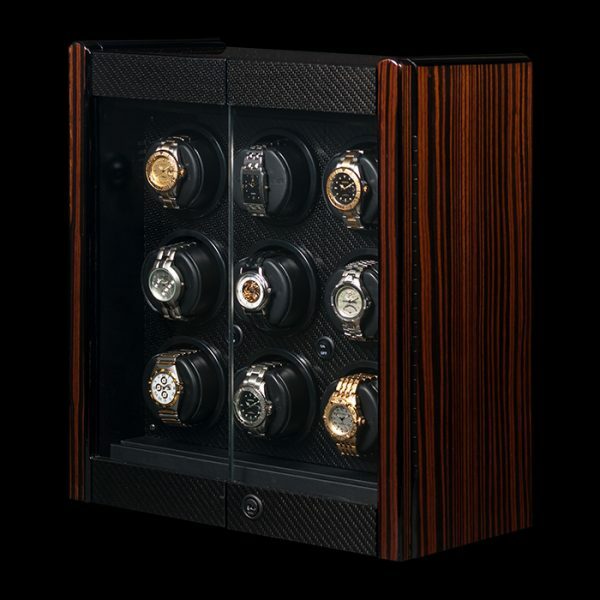 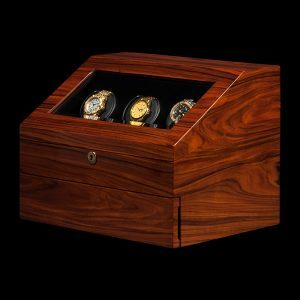 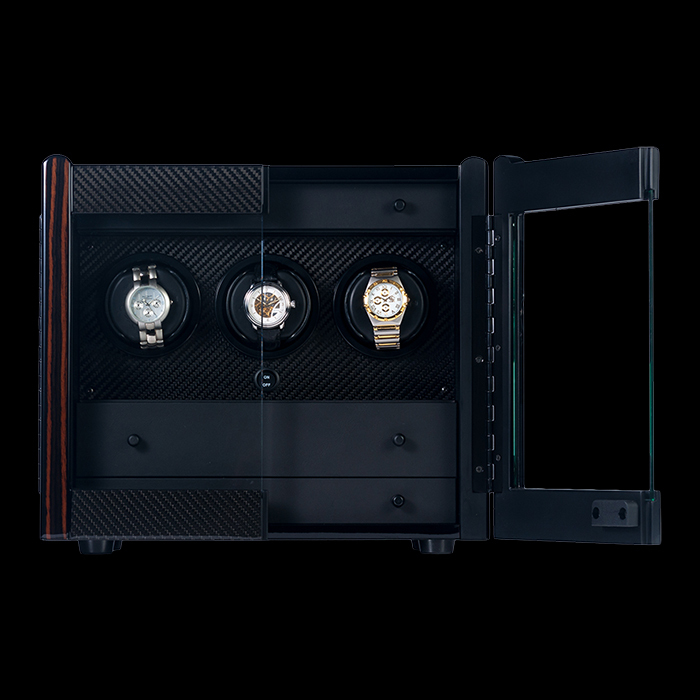 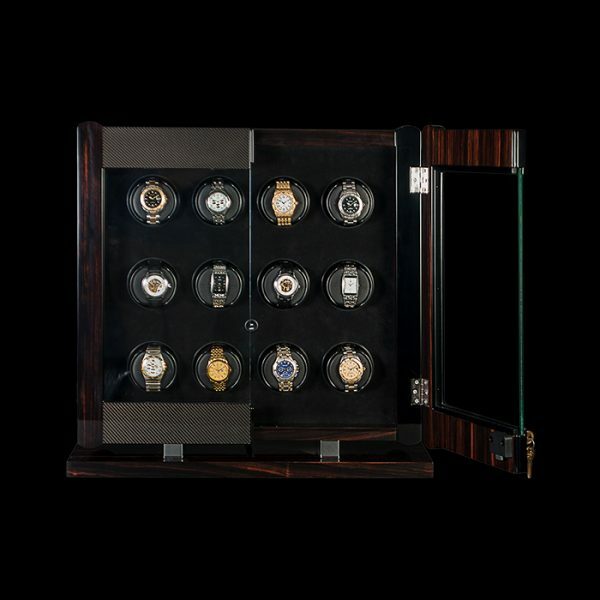 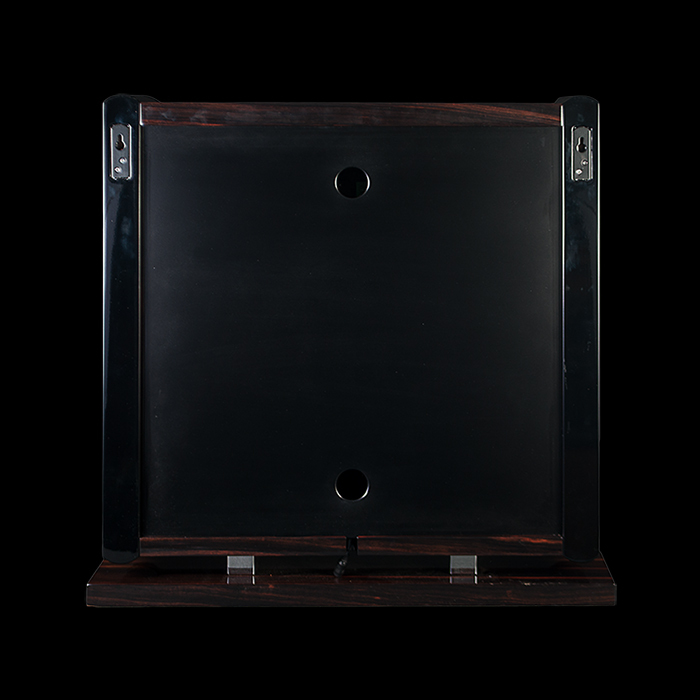 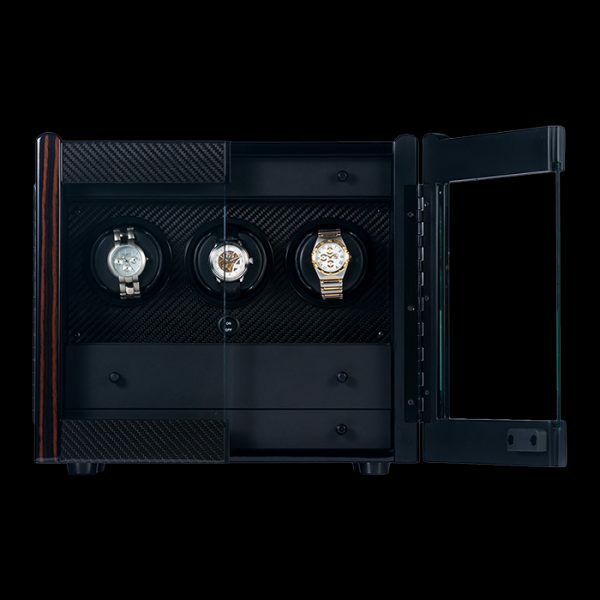 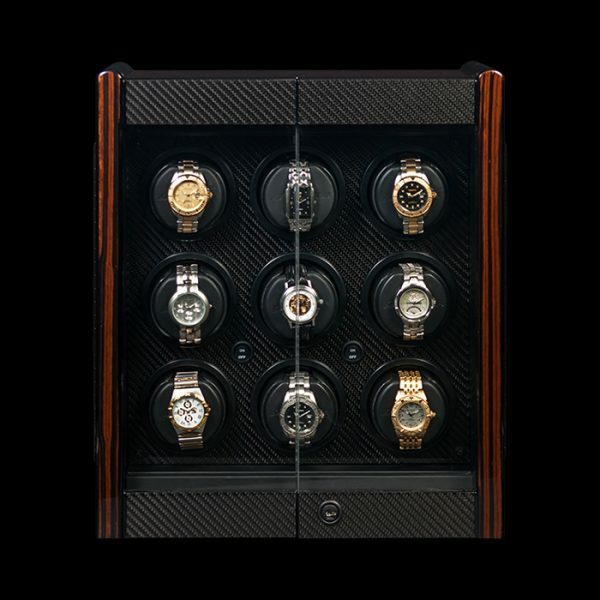 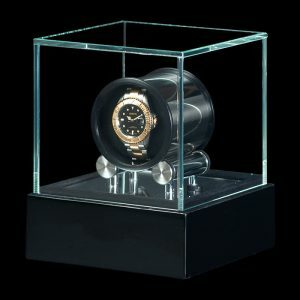 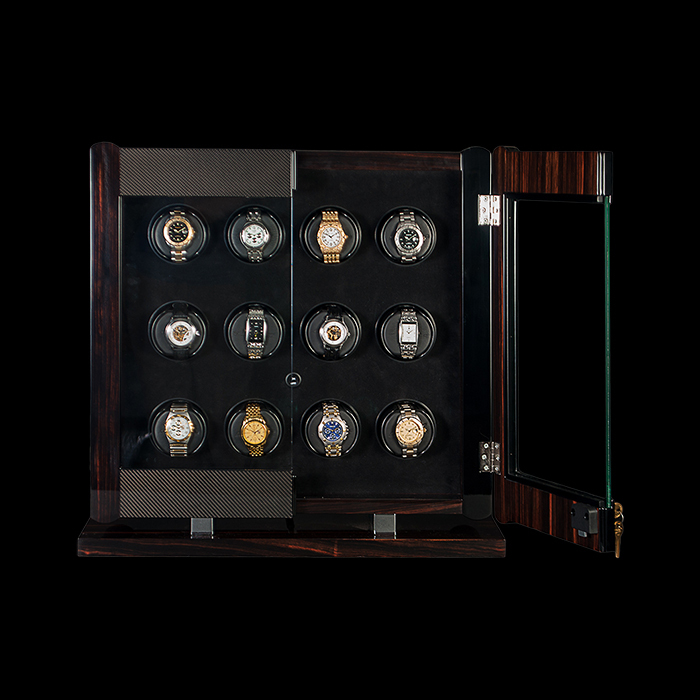 Display your watch collection in an impressive, free standing, automatic Watchwinder with matching pedestal base. 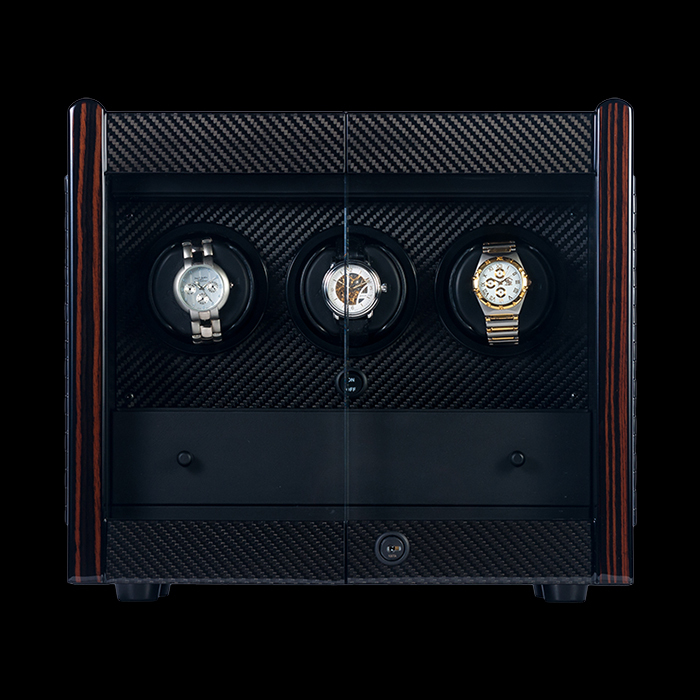 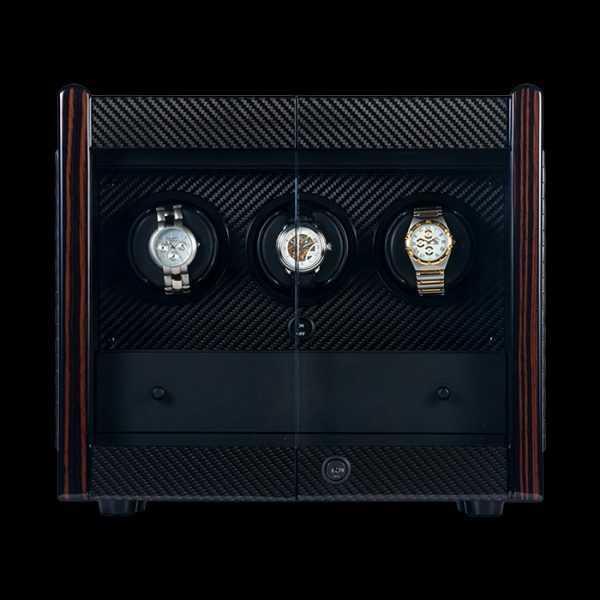 The Avanti 12 and 16 are lockable, Italian-made cabinets with exotic Macassar veneers and genuine carbon fiber accents. 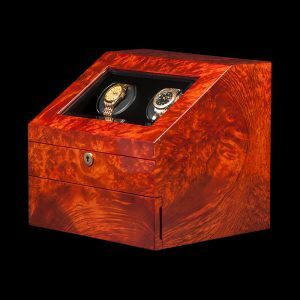 Our most popular winder – the Avanti 6 – is designed to wind 6 watches and has two storage drawers. 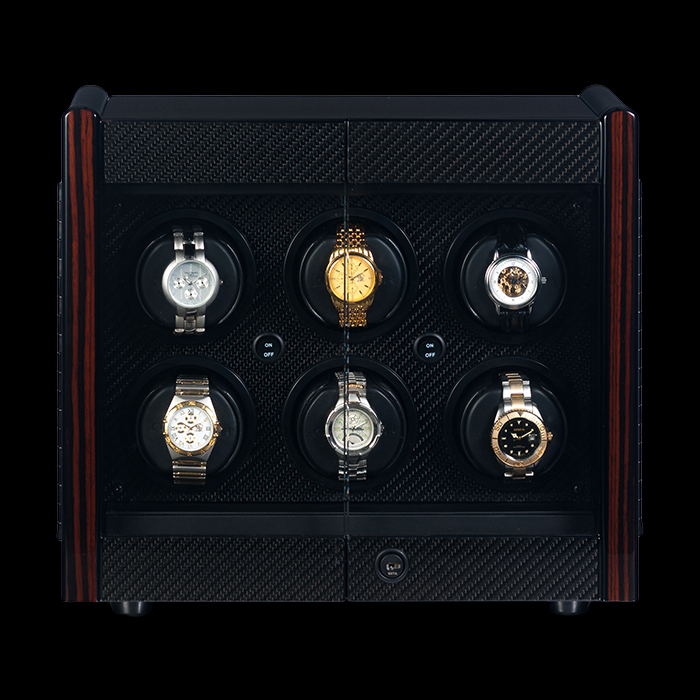 Each winder level has its own power switch but individual stations can also be turned off when not in use. The combination of exotic Macassar veneer and genuine carbon fiber trim results in an impressive cabinet that will retain a great look forever.